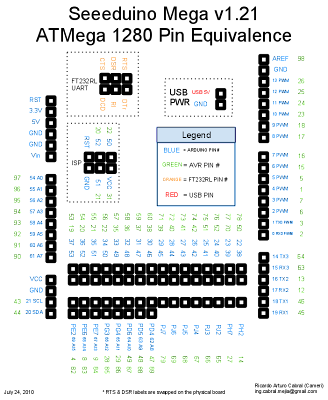 This cheat sheet makes easy to cross check the pins in the Seeeduino Mega board with the ATMega1280. 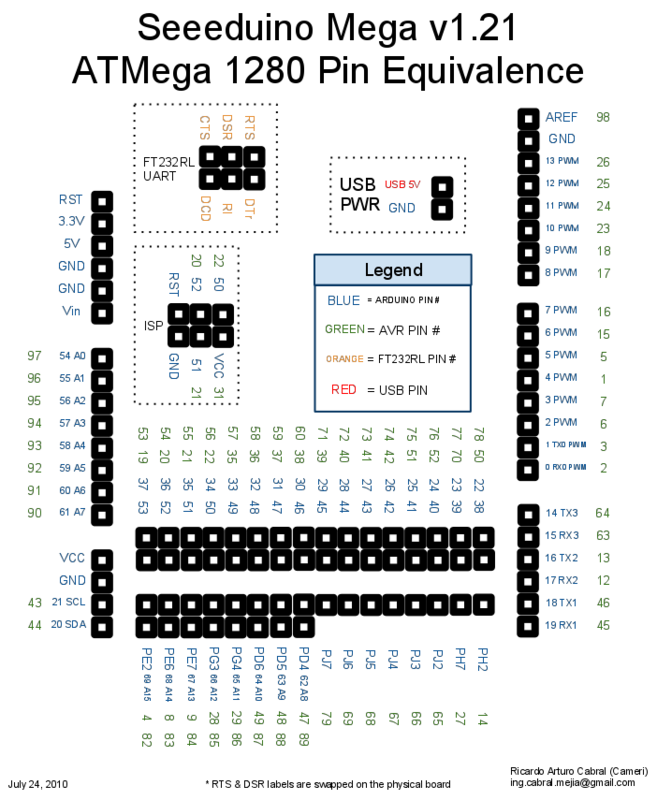 Very useful if you are using or plan to use AVRLib directly. You can get this cheat sheet by going to this link. Comments, suggestions, corrections and complaints are welcome! If you've used this cheat sheet, I welcome you to share your experience.